So yesterday, as I’m sitting and watching the game as the majority of sports fans were, I noticed that there was something different about the Celtics. Something was missing. 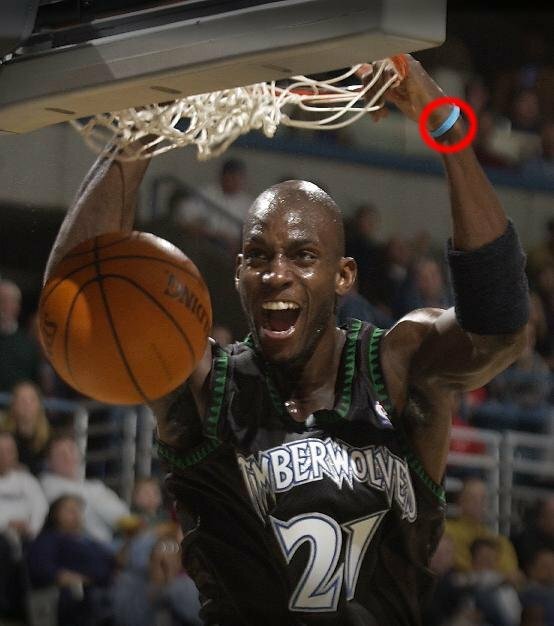 Almost as if a 7 Ft, shot blocking, dark skinned defensive menace named Kevin Garnett was not on the court. It looked as if the Celtics decided to make it fair for the Lakers and play four on five. The once proud and intimidating KG has turned into the invisible man. As Ray rained threes in the first half and Rondo carried the team in the second, KG was a nonfactor. This guy used to be my favorite player in the league. He could handle the rock like a guard, shoot the three on occasion, and play lights out D. KG was the man. Pure and simple, he was special. Now as I sit and watch him, I can’t even say I see a shell of his oldself. Its more like the exoskeleton of a Cicada, laying motionless, lifeless, and ready to be carried away by the wind. As I’m watching the game last night, I’m hoping for KG to foul out, just so I don’t have to watch the guy anymore. Its hard to look at. The guy refuses to dribble. He refuses to make a move. He refuses to dunk. He refuses to score. He shoots this loose booty 18 footer everytime he gets the rock. The dude’s 7ft tall. Dunk the darn ball. Don’t get me wrong KG still has the fire, but he doesn’t have the game anymore. He’s 34 now and it shows, every game, it shows. From the 98-99 season til the 06-07 season, Garnett was a 20-10 ball player. His numbers dipped a bit his first year in Boston, expectedly so, as he was no longer THE guy. They only dipped to 18 and 9 though. Not terrible by a long shot. However, last season they dipped to 15 and 8. This season 14 and 7. During this years finals, how about 11 and 4!! This is a guy who only recently fell below 20 ppg for his career. This is a guy who in my opinion was the best player in the league for the early part of this century. He’s now an 11 and 4 guy. I’m sorry KG, but its over. If you’re hurt please say so. Because this is just embarrasing. I can’t watch you anymore. I’d rather see Sheed or Big Baby down the strecth. You and Sheldon Williams alternate between who’s the worst big man in the series. KG mind as well be playing for the Lakers. KG isn’t even one of the top 15 players in the series anymore. I’ve got him behind, Nate Robinson, Shannon Brown, Sheed, Big Baby, and Ron Artest. KG is no longer an elite player, I get that. But he’s not even a good player anymore. And the numbers prove it. Doc, don’t bench KG because he’s your emotional leader, got it. But, please Doc, limit the guys minutes to under 20 a game. Big Baby and Sheed are both giving you better minutes. And for Lord’s sake, don’t play Rondo the whole 24 in the first half when you’ve got Nate on the bench. Jeez, put the stud in the game and give Rondo a breather. Doc’s lucky Rondo is such a physical freak and didn’t tire to bad down the stretch. Personally, I still do not see the Celtics winning this thing. The main reason is Kobe Bean Bryant. Check it out. Kobe had a rough game, couple poor foul calls, and he played without his normal aggression. The Lakers bigs absolutely dominated the Celtics bigs. Ray Allen will not drop more than 5 threes in anyother game this series, they shut that mess down second half. Boston plays a man down anytime KG’s on the court. Ron Artest has absolutely neutralized Paul Pierce. Make that two men down. Rondo’s not gonna hit open jumpers every night. The Lakers are just better in everyway. They’ve got the best player in the game and that doesn’t bode well for the Celtics. Paul Pierce might be right, the series might not come back to LA, because the Lakers may win three straight in Boston. It is called Bean Town right. As in Kobe Bean Bryant.